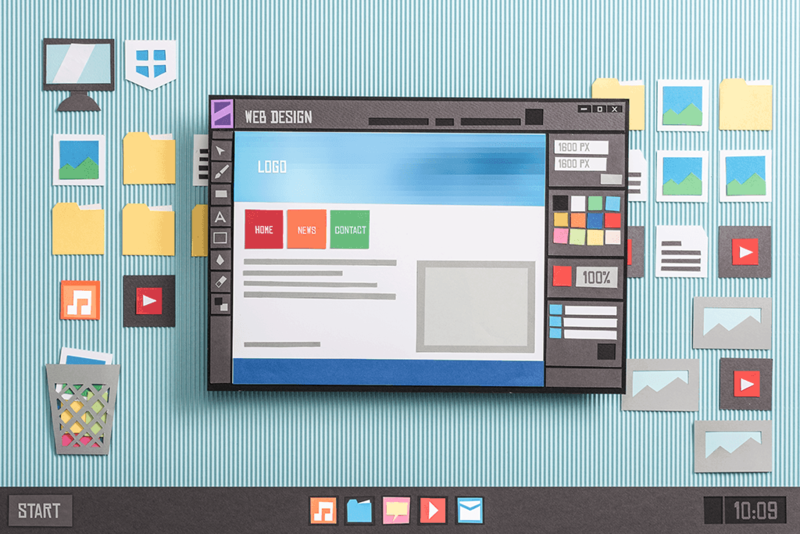 When considering your new website or redesigning an old one, there are a few things you should be clear about when giving directions to your web designer. Doing this will save you money in the long run, while also positioning your website for success. Whether you hire an outside web designer, have a current employee build one, or use a DIY online service the following issues should be noted and marked as critical. The domain name should help build your brand. Firstly, your website has to be easy to find with a simple domain name. An easy-to-remember domain will help ensure local customers can recall your website and this will also help with the Google search engine. The URL is going to be part of your overall branding, so the closer it is to your business name, the better – don’t be cryptic or clever about choosing a domain. Your website should answer basic, common questions that the majority of your users will be searching for. Hours of operation, location and directions, as well as phone number and contact forms are the big questions. These are necessities for any local business, but you’d be surprised how some web designers neglect their importance. All of this should be somewhere on the home page and also on the footer or header of every other page. If someone is searching for these vital stats, they are likely a new customer, so you don’t want to frustrate them on their first exposure to your business. Your website design should be mobile and tablet responsive. Between 50% and 60% of all your website traffic is going to come from devices other than a desktop computer. Not only would that prove to be a lousy experience for your user, but Google essentially penalizes websites that are not mobile friendly – meaning you won’t show up in search results. Keep in mind that a mobile search to your website is even more likely to result in a physical visit to your business as the intent to purchase may very well be more their next stop. Your website should help you learn more about your customers. Your website users are your REAL LIFE customers, so let’s not confuse this into thinking your online presence is somehow abstract from real business. To that end, every website should have Google Analytics installed. GA is a free service provided by Google that is installed in the backend of your website. The software collects traffic data on your visitors’ locations, devices, time on site, search terms, page views, clicks, as well as critical demographic information. Knowing as much about your customers’ profiles is an invaluable tool for making all kinds of fundamental business and marketing decisions for the direction of your company. If you don’t have Google Analytics installed you letting an enormous amount of valuable information slip through your company. Your site should have a blog, or at least the ability to add a blog at a later date. Blogging is one of the reasons WordPress is such a highly recommended platform for your website as it is easy to expand content by adding articles with images on a regular time table. Adding a blog post to a WordPress site is also quite easy and requires no programming skills. It’s not unlike writing an email and adding a photo from your phone. The real value in having a blog on your website is that the more content you have, the more likely you are to rank above your competition in Google search. As far as user experience goes, this is an added benefit too, and that in turn relates to longer times on a site, a metric Google uses to position your website in the marketplace. Capturing your website users’ email is a tremendous asset to your overall marketing plan. All local business websites should have an email capture system that collects email addresses from those who choose to subscribe to a newsletter, tips, or specials, etc. You inspire them to do so by creating an offer right up front, BOGO comes to mind or a feature price on a particular product. A free appraisal is typical in the real estate industry. What you are doing here is building an email list that you can market to directly – anytime in the future. All of this is called email marketing, and small businesses entirely underuse it. The reason email lists work so well is that the users signing up have already shown an interest in your business, and are therefore much more likely to buy from you at some point. There is an extra fee for running this kind of ongoing campaign since it’s managed through a third party service such as MailChimp, Aweber, Constant Contact or Get Response. However, those costs are so low per subscriber that you will be happy to pay them. Imagine – for example, being able to send out a special sale email to your subscribers letting them know you overbought this particular color of widgets and are blowing them out at 75% off this weekend only — instant business. The possibilities are as endless as your creativity. Landing pages are pages on your website created for specific campaigns. They usually are not part of your regular website menu structure. You may have heard about marketing funnels before, well, landing pages are a crucial part of those strategies. However, the reason you need a website that can handle these pages is that when you end up creating advertising campaigns on Facebook and Google, you’ll need to direct them to a page that clearly shows how to continue in the funnel. Not only that, the better your landing pages, the better the conversion rate – Google and Facebook ads are both designed to charge you lower rates when your campaign is successful. WordPress is great for creating these campaign-style pages as well, so that’s another reason to insist it as your platform. Social media and community credibility are often confirmed – good or bad – through a company website. You’ve done this before yourself. You hear about a company through social media or word of mouth – and the first thing you do is an online search for that business. Think of this as the first impression. This juncture is where your business shines or fails – and the good news is that most of your competitors fail miserably at this. Having a professional website is adding that extra bit of confidence that what the user heard so far, is true and accurate! Committing to having your site do it’s job properly, exudes confidence and adds a level of excitement to the user and their intention about doing business with you. Manage complaints offline. Your business is talked about on social media, Google business or person to person with or without you. Since no company is perfect, there will be issues that come up. Well, your website should be discoverable, and your contact page should be accessible for good or bad concerns. For disgruntled consumers, it’s much better to take them offline and contact them directly. However, to do that they must first feel welcome to send in their complaints. If they attempt to do this, only to be discouraged by the appearance or accessibility of your website, then they are more likely to get louder on social media before even giving you a chance to make things right. Your contact page isn’t just for sales calls. It’s to manage all of your customers’ concerns in a professional manner and take control of what is being said about your business. Many of the factors mentioned above tend to be afterthoughts to when a website has already been built or nearly done. Having these points cleared up before starting your project will help ensure that your website becomes a very cohesive and positive addition to your marketing strategy.